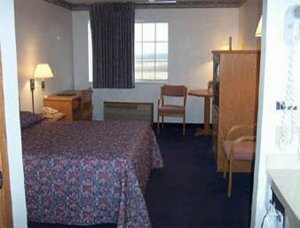 The Days Inn Cameron is only 50 miles from Kansas City, I-35 exit 54, on Highway 36 and 39. Centrally locating for sight seeing for members of the LDS Church. We have free high speed wired and wireless Internet access and a breakfast bar to die for. You can make your own waffles, biscuits and gravy, cereal, fruit, juice, bagels and more! We also have an indoor pool. Sorry, no pets allowed.